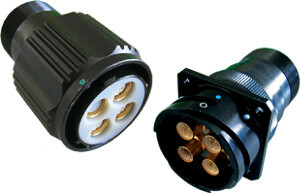 High-speed connectors and contacts are optimized for compatible performance with popular data transmission protocols, including (1) Mil-Aero data bus protocols such as ARINC 1553 and CAN bus, (2) Networking protocols such as 10, 100, and 1000BASE-T Ethernet, and 3) Peripheral and display protocols such as USB 3.0 and SATA. Generally speaking, standard mil-aero connector packages and contact layout densities are appropriately applied for category 1) Mil-Aero protocols. Higher density contact layouts with or without shielded contacts are appropriately applied for the Ethernet/networking category protocols up to 1000BASE-T. Finally, special high-performance and high-density solutions such as El Ochito octaxial contacts, Octobyte™ 10 Gigabit industrial connectors, and Glenair Speed-Master™ 10G+ Ethernet solutions are best applied for the highest data-rate peripheral and display protocols. Ethernet has become the dominant protocol type in high-speed systems due to its ability to efficiently move data over low bandwidth copper cabling. 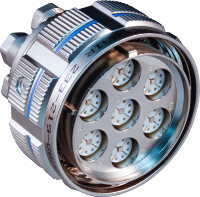 Standard Ethernet can reach up to 100 meters over copper through multiple mated interconnects. The Ethernet protocol is ubiquitous, backward-compatible and subject to ongoing improvement. 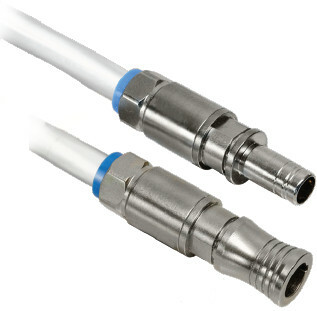 Oher popular protocols include SATA, DVI, HDMI, and SMPTE 3G-SDI which are ideally suited for transmission via shielded (high-frequency) contacts and cables. Each of these protocols poses a unique signal integrity challenge, typically met by a specialized high-speed connector and contact assembly. * Consult factory for MIL-DTL-38999, Series 80 Mighty Mouse and MIL-DTL-5015 solutions that incorporate RJ45 and USB high-speed connectors. Glenair also manufactures and supplies qualified quadrax and fiber optic solutions for high-speed applications.